I'll be doing sports flashes and chiming in on the Texans post game show from NRG Stadium with Sean Pendergast and Seth Payne after the game. 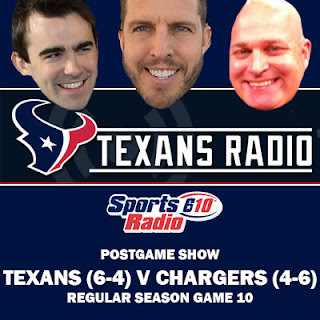 You can listen live to the show on SportsRadio610.com. We'll be on until 6:30 PM CT.